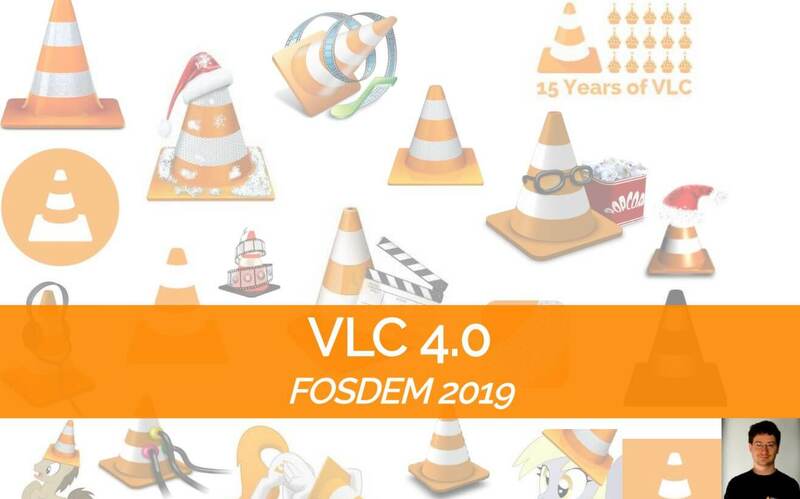 Something to look forward to: Ranking as one of the best pieces of free software of all time, VLC has shared some of the features coming to the next major version. A redesigned UI and addition of media library features will modernize the look and feel. Plenty of under the hood changes will also help take advantage of newer hardware. At the Free and Open Source Developers European Meeting, VLC has shared a look into what its next major revision will look like. Beginning with a new user interface, VLC is working towards adding a media library browser, VR support, 3D video support, and revising all video output functions. Desktop users will eventually be able to use VR headsets such as the Vive and Oculus Rift to view content in VLC. Along with VR and proper support for 360 degree video comes a whole host of 3D audio technologies, including 3rd order ambisonics. Android users of VLC will feel right at home with the addition of a media library to the desktop application. It is functionally very similar to what currently is available in the mobile app. VLC shared some screenshots from the upcoming interface redesign, showcasing what browsing through media may look like. Holding some reputation as being a fast and reliable media player, VLC is still providing an option to disable the media library for quicker launch. Linux users will receive Gnome and KDE adaptations of the new UI. Wayland support will be a feature of VLC 4.0, as well as UPnP rendering, and AirPlay output. As VLC looks towards the future, dated platforms are being cut off from support. Minimum versions of operating systems are now Windows 7, MacOS 10.10, Android 4.2, and iOS 9. Linux users must now have OpenGL support. If you want to give VLC 4.0 a try you can download the latest beta here.